Update September 6 - Don't forget to redeem this coupon on Friday! 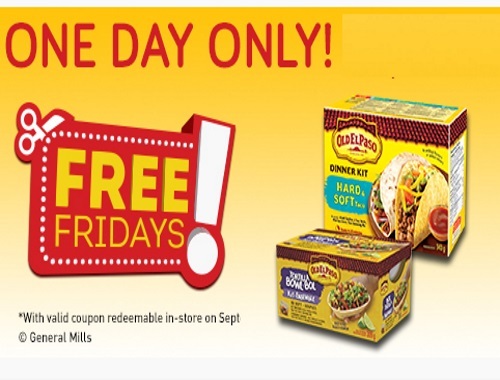 Originally posted August 7 - Another Free Fridays coupon just went up! Get a Free Old El Paso Tortilla Bowl Kit 309g with the purchase of an Old El Paso dinner kit (any size). This coupon is redeemable one day only, Friday September 8 2017. Claim your coupon at the link below while quantities last. Please note you can get another set of this coupon here.